Arizona. Home to arguably the most famous natural wonder of the world: the Grand Canyon. Stomping ground for the largest native American reservation in the world, the Navajos. A state rich in history; a state in which I have seen the most beautiful sunsets of anywhere in the world. Arizona is a desert state – the landscape is red for as far as the eye can see. Known for its sunny and temperate-hot climate (although there was a freak snowstorm when I was there… Typical), the Copper state will surround you with dramatic landscapes, from gaping canyons to hulking mountains. Arizona offers so much more than just the Grand Canyon; here are a few of my favourite spots. 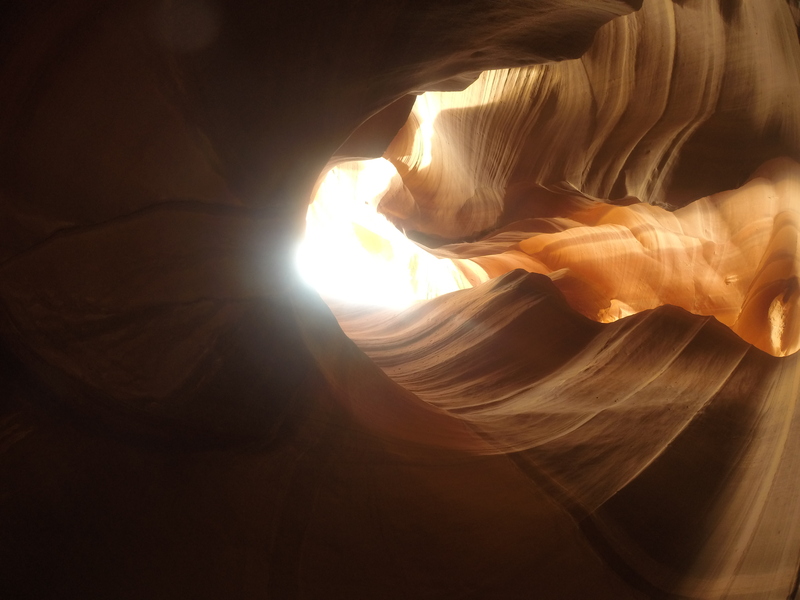 Antelope Canyon is situated in the heart of the Navajo Indian res, in Northern Arizona; formed thousands of years ago by flash-flooding (which still occurs today), the canyon is an incredible example of the sheer force water can carry. It’s a highly sacred spot for the Navajos; each and every one of them says a prayer and clasps their hands together before entering. UNFORTUNATELY both the Upper and Lower canyons are only accessible through a guided tour, from one of the many small companies in the area each vying for the business. I am a big-time hater of guided tours – the hurriedness of it all, the big groups of obnoxious tourists, the cameras constantly flashing… But, the tours are fairly priced and so, so worth it. Another nice touch is the ability to pay a little extra for a photography-specific tours. We took the usual tour and were not disappointed; once you step into the canyon any worry about the other tourists leaves. The canyon soars above you as you walk between the smooth walls of rock, the beams of sunlight illuminating incredible shapes which are difficult to comprehend as being formed naturally. It truly is awe-inspiring, and like nothing I’ve ever seen before. It takes about an hour to walk through the canyon. An hour of gazing up and around, running your fingertips along every surface, feeling the finest sand which sits atop the ledges and curves of the walls. 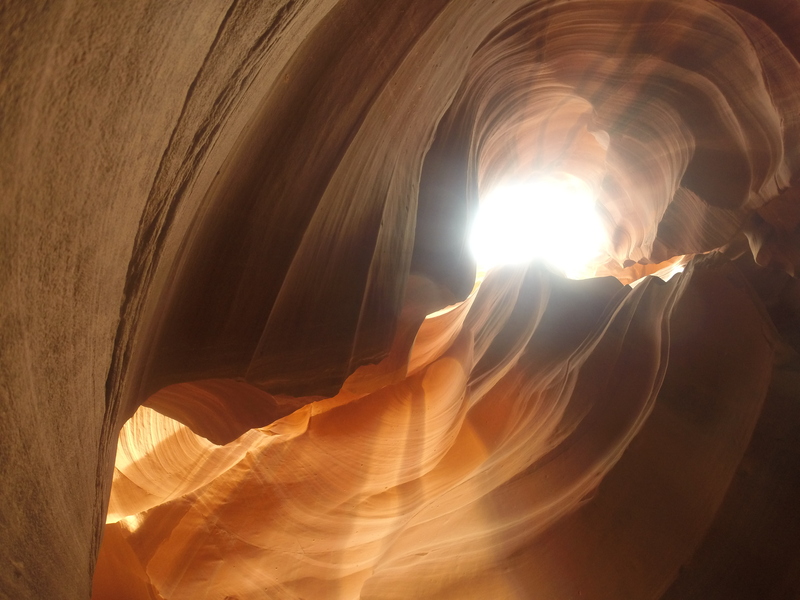 Antelope Canyon is truly unbelievable – not only visually, but the energy of the whole area is just unreal. 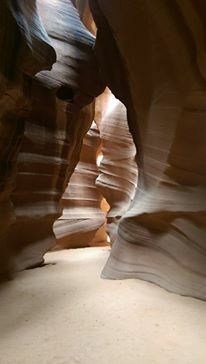 A true hidden gem, overshadowed massively by its larger and more breathtaking cousin, Antelope Canyon is a stunning highlight of the USA in my opinion, and should be added to any road trip destination or bucket list. Awe-inspiring, breath-taking, jaw-dropping… There is no end to the list of hyphenated words that can be used to describe the Grand Canyon. At over 200 miles long, and up to 18 miles wide, the canyon is truly monstrous – no amount of research can prepare you for that first glimpse over the rim of this cavernous, outrageously gigantic gash in the Earth’s crust.